Foam rollers can definitely be considered essential workout gear, as they are simply perfect when it comes to stretching and recovery. 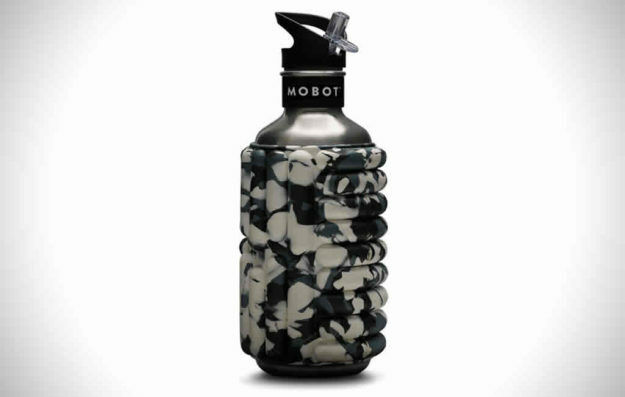 However, a company named Mobot has decided to give this product an extra touch of practicality by combining it with a simple water bottle. 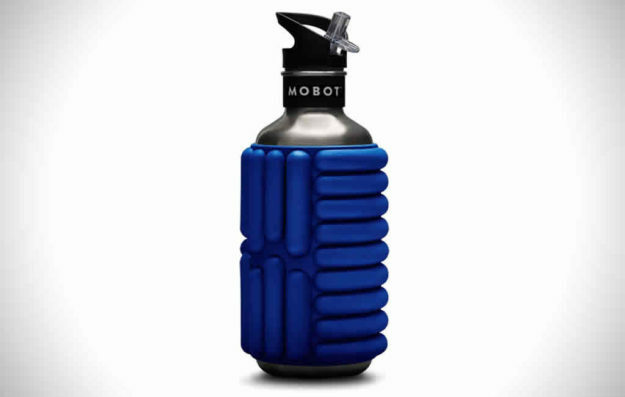 This is undoubtedly one of the best water bottles for working out, not just because of its versatility but also because it was created using high quality, reliable materials. This is a stainless steel BPA free bottle that features a non-toxic EVA foam exterior, but it still manages to retain the firmness of a roller. The soft exterior allows it to act as a great cushion while also providing excellent insulation, which is definitely a big plus in our book.